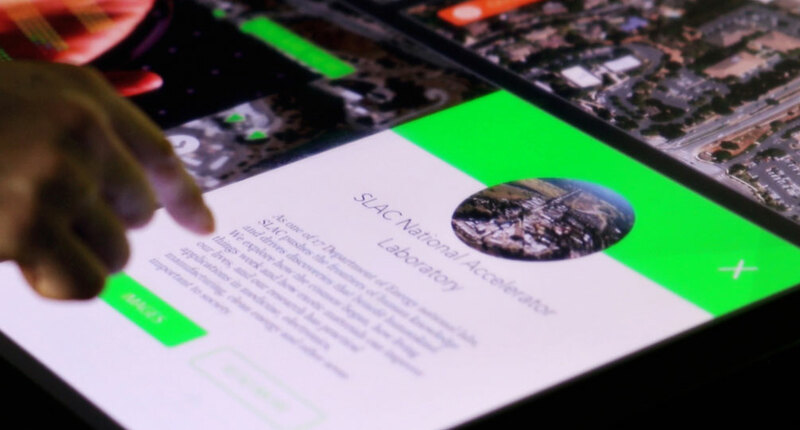 Ideum collaborated with the Stanford Linear Accelerator Center (SLAC) on a dynamic application to orient visitors to their facility. The application is based around two maps, a 7K pannable and zoomable aerial map and a 3D rotatable globe. SLAC visitors can tap on more than 20 points of interest on the maps; each point of interest has an image gallery, video, location information, and description of the work done in that area. 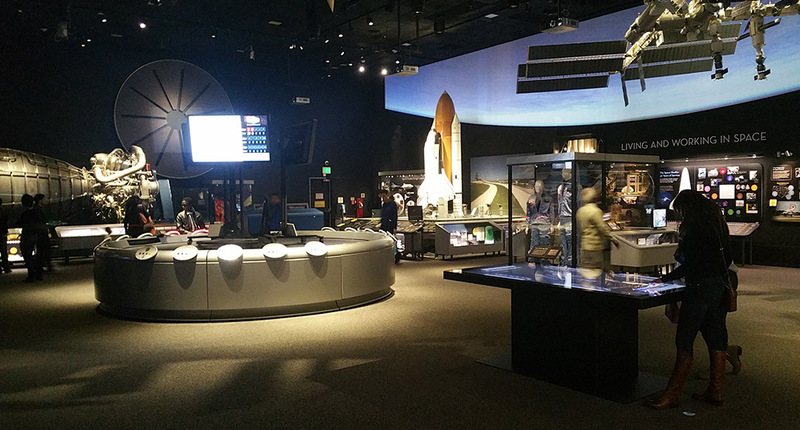 In this way, visitors learn all about the important research performed onsite at SLAC as well as their work with other facilities around the world. Ideum designed and developed this application to respond to the number of visitors using the table. A single user can use the entire screen, starting from one of the long sides. A second user can approach the opposite side of the table and as soon as they touch, will get a viewing window of their own. When a third user approaches, viewing windows appear on the shorter sides of the table. In this way, windows, images, and videos resize dynamically throughout the interaction to optimize the experience for the current number of users. 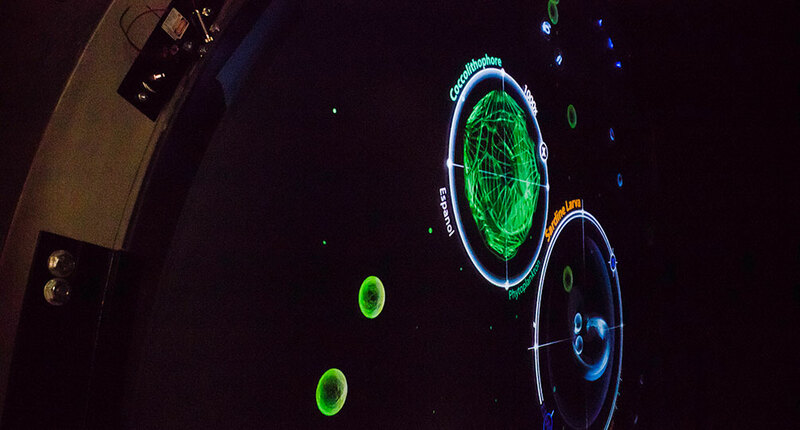 The SLAC orientation application runs on an Ideum Platform 55, which has a 4K UHD display and projected-capacitive touch technology. 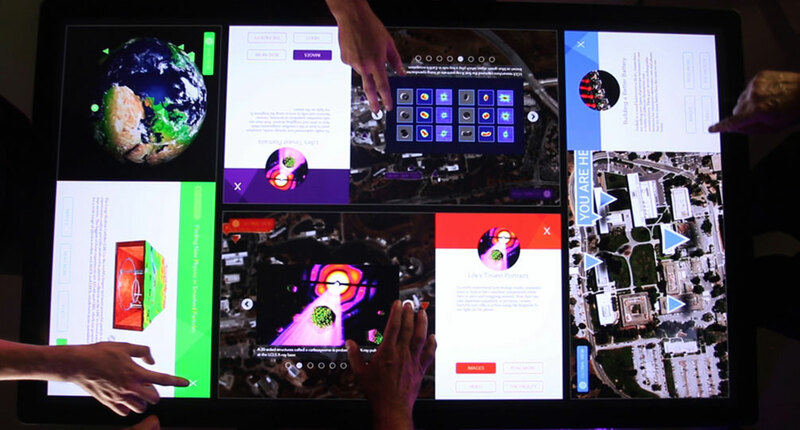 The Platform 55 is an ideally-sized multitouch table for debuting this new style of interface that adapts to respond to one to four users.